DeFrancesco Sr. Anthony “Tony” of Greenfield. 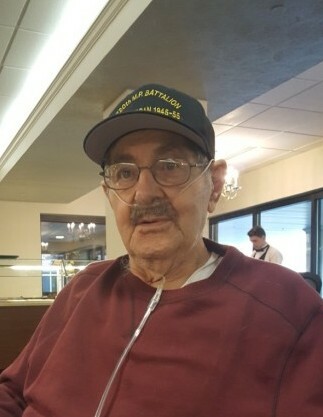 Passed peacefully on Tuesday April 9, 2019. Preceded in death by his beloved wife Elizabeth and son Raymond DeFrancesco. Survived by his loving children Kenneth (Ruth), Gary (Sue), Lisa and Anthony Jr. (Doreen) DeFrancesco. Tony is also survived by 9 grandchildren, 5 great grandchildren and 2 great great grandchildren. As well as numerous friends and family. Friends will be received on Saturday from 6-8 Pm and Sunday from 2-4 and 6-8 PM in the Edward P. Kanai Funeral Home, 500 Greenfield Ave. 15207. Funeral Monday at 9:30 AM with Funeral Mass at 10 AM in St. Rosalia Church. In Lieu of flowers please make donations to the Alzheimer's Association.